Have you ever watched a TV series, fallen in love with the world and its characters, and wanted to escape there? What if the plotlines portrayed on our TV screens and movie theatres are actually based on the top secret missions of real people, living real lives, in a galaxy of an alternate reality? 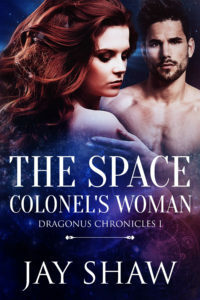 That is the premise for THE SPACE COLONEL’S WOMAN, book one of my Dragonus Chronicles science fiction romance series. I was at a crossroads where great changes were afoot, and I was left wondering what the next chapter of my life would entail. Then, as I made my kids’ school lunches, an image of a woman walking along the beach with the sea breeze playing in her hair, came to me. I imagined the scent of the ocean and the sand under her bare feet. It was as I walked past my computer, I knew I had to write her story down. From the moment I began to type, it flowed. It felt right and I began to wonder if writing was what I was meant to do. 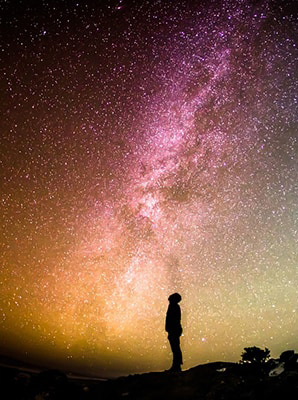 As I continued to expand on my first imaginings, an entire universe full of amazing characters was opening itself up to me, inviting me along for the ride. But it was a conversation with my best friend that convinced me I was writing not only a book, but many books. I was taking the first steps down a path which was feeling more right the longer I stayed on it. 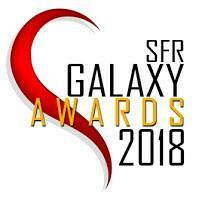 I wanted to share that sense of being beside characters as they went on their journey, to smell the air of an alien world, and feel your heart pound with the excitement of flying a space fighter through a nebula. 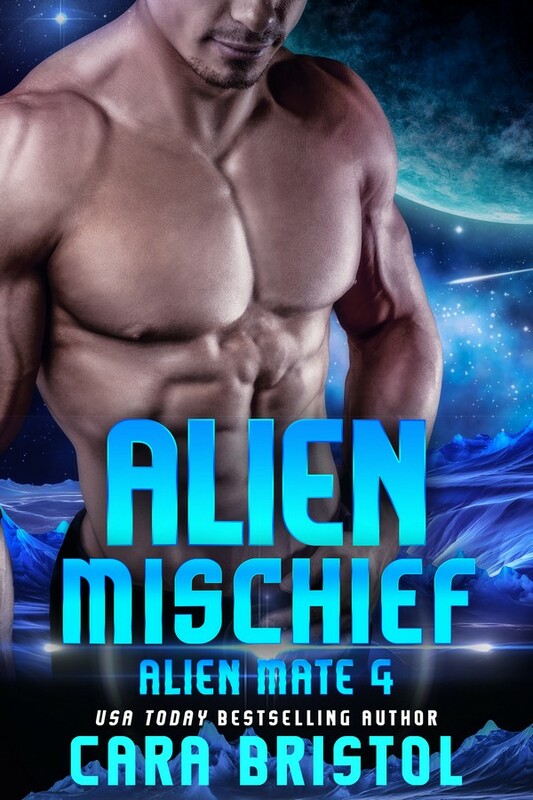 For me, there’s nothing like a scifi story packed full of action and smoking-hot romance. I hope following Julia, meeting her space pilot Colonel, and seeing the Dragonus Galaxy through their eyes, is as thrilling for readers as it was for me to write. The scene that started it all, Julia’s walk along the beach. The time glowed red in the otherwise pitch black room. She lay amid rumpled bedding, the echo of a scream lingering in her ears and her heart racing. A fine sweat shimmered on her skin and the hairs on her arms stood on end. Her dark-haired lover with whiskey-colored eyes nothing more than a fading image in the back of her mind. Watching Phoenix Rising before bed wasn’t conducive to a restful sleep, it seemed. Julia groaned, rolled over, and went back to sleep. Now if only there was a man like Mark Holden out there for her. Julia felt revived as she strode along the beach, accompanied by the ceaseless thunder of crashing waves. She relished the taste of salt spray on her lips and the scent of a wild fresh wind as it caressed her skin, and whipped her hair from her face. The rugged end of the beach with its boulder-strewn sand, caves, and overhanging forestry, was her favorite place for solitude. Tourists, families, and dog-walkers preferred the flat wide expanses of the southern end. But today, the entire beach was hers. Seated on her chosen rock she shrugged out of her backpack and folded her long legs under her. It was fantastic to be still, to have no demands on her time. Calm had settled over her, easing away the restlessness of the previous night and she closed her eyes to fully appreciate it. A blinding white flash jolted her eyes open as it lit the entire area. Electric-blue lightning arced across the dome of the sky, crackling and hissing as it contacted with moisture in the salty air. Its silhouette burned dark on her retinas, overlapping with itself time and again as she tried to blink it away. The hairs on her arms danced, charged with a static that sent an army of goosebumps marching across her skin. No time seemed to have passed, and yet she sensed something had definitely changed. A shudder ran down her spine, releasing the breath she’d unconsciously held. A sound like someone having the wind knocked out of them made her jump. Julia turned and saw a man lying motionless on the sand a few meters from where she sat. He hadn’t been there before the flash, she was certain of it. Whatever had just happened, only the two of them were aware of it. He groaned in pain, but didn’t move. Whoever he was, he was hurt and she was the only person around to help. She knelt in the sand at his side. He was a soldier. That much was obvious from the weapons he wore on his waist and thigh. His tall muscular frame clad in a military vest, black tee and BDUs, and combat boots. Jay Shaw is a New Zealand author, a mum of two teens, and a lover of books. She’s an incurable romantic who stays up early and sleeps in late, and survives on a diet of M&Ms, bottled water, and steak with mushroom sauce. She has a preference for tall, dark-haired, military men in thigh holsters and combat boots, but isn’t opposed to the occasional shirtless cowboy in tight denim. Jay’s favorite books to write are sci-fi, paranormal, and contemporary, romance stories. Her characters will, through trial and tribulation, adventure and discovery, ultimately find their one great love. A love that all of time and space will lie down and be still for. 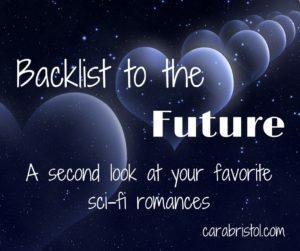 This entry was posted in Backlist to the Future, Guest blogs and tagged #military, aliens, alternate reality, Backlist to the Future, Dragonus Chronicles, guest blog, Jay Shaw, science fiction romance, space, The Space Colonel's Woman, Throwback Thursday for books. Bookmark the permalink. Thank you, Cara, for the opportunity to share my beloved book with a new audience.